English’s of Brighton is a restaurant based in Brighton. Our registered address is: English’s of Brighton, 29-31 East Street, Brighton, East Sussex, BN1 1HL. We will use this information to assess your application. We may also keep it in our records for future reference. Please get in contact if you would no longer like us to hold your records at book@englishs.co.uk. We will only share your information with companies if necessary to deliver services on our behalf. For example service providers (e.g. 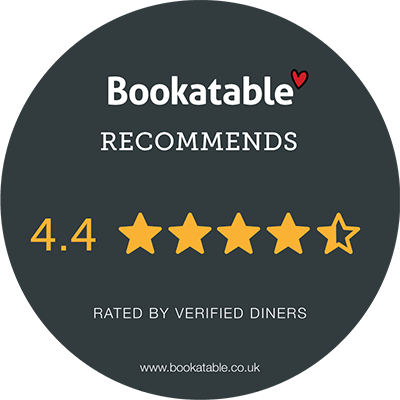 Bookatable for the provision of online bookings), third-party payment processors, and other third parties to provide our Sites and fulfil your requests, and as otherwise consented to by you or as permitted by applicable law. For reservations taken through Bookatable software, your data will be on secure servers in the European Economic Area (‘EEA’). We will not contact you for marketing purposes by email, phone or text message unless you have given your prior consent. We will not pass your details to any third parties for marketing purposes unless you have expressly permitted us to. Furthermore, you can change your marketing preferences at any time by contacting us by email at book@englishs.co.uk. You have a right to request a copy of the personal information that English’s holds about you and have any inaccuracies corrected. Any such requests should be made to this email address: book@englishs.co.uk. For more information, please feel free to contact us at: book@englishs.co.uk.